SAVING “THE ALAMO” (PART II): If you've read the May 30th edition of At The Matinee*, then you may have known about MGM’s negligence on preserving John Wayne’s The Alamo (1960). According to a recent column on The Digital Bits, reporter Bill Hunt examined recent tests with film restoration expert Robert A. Harris. The feature film is in need of restoration, but thanks to Harris' tests- The Alamo could be saved if MGM would let outside film experts work on preserving the vintage John Wayne western (for possible theatrical re-release and on Blu-Ray Disc). Prior to the current Digital Bits article, a new Facebook site titled Save The Alamo has addressed MGM's refusal, and how film buffs should encourage the studio (via their Facebook & Twitter accounts) in restoring the complete film. A recent report from Time Warner Cable's public access channel in Austin, Texas had an interview with area resident Richard Curilla. Curilla viewed The Alamo on the big screen in 1960 (he viewed the film thirteen times), in its original 70mm Todd-AO "roadshow" format. Because of his interest in the film, he would go on to study film at Penn State, and would take interest in the actual history of the battle of the Alamo. Many years later, he would become the official caretaker of the private ranch where the film was shot (west of San Antonio). Curilla (along with area radio talk show host Trey Ware) would like MGM to restore The Alamo immediately. Joey DeAngelis' Silent Film Saturday has also addressed how MGM should have the film (roadshow and general release versions) preserved for all generations. If you haven't already, keep posting onto MGM's Facebook and Twitter accounts (in a positive manner) to let the studio know that John Wayne's The Alamo should be preserved- not neglected. The only other way is to address The Library of Congress' National Film Preservation Board- so that the film can be added to the National Film Registry. Again, MGM should not let The Alamo rot in its vaults. They (along with the assistance of outside restoration experts) should preserve the vintage John Wayne film immediately. 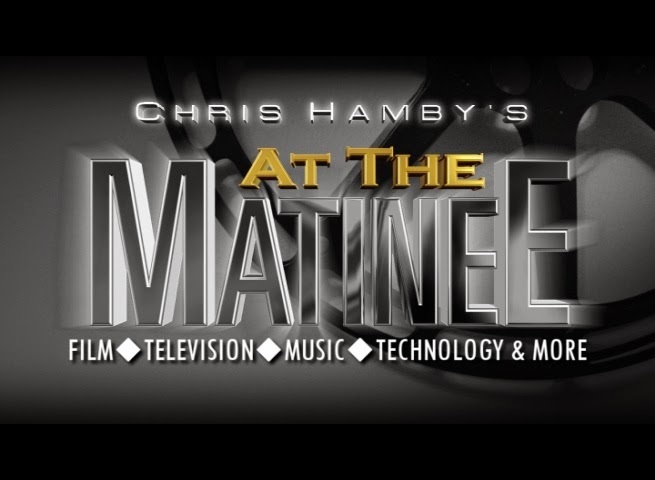 *At The Matinee's May 30th edition (about the preservation status on The Alamo) was the most-viewed blog entry out of all posts on the site, and has received significant praise from fellow friends and film enthusiasts. RARE COLUMBIA "SHORT SUBJECT" ON THE NATIONAL ARCHIVES: Most people know about Columbia Pictures' "short subject" releases, mostly The Three Stooges, Buster Keaton's short films, the Captain Midnight serials, and the later short films of comedian Charley Chase. Besides those, a rare Columbia short- under the Washington On Parade series (showcased in a newsreel-style presentation) has popped up on the official YouTube channel of The National Archives & Records Administration. In honor of the agency's 80th anniversary, the National Archives* has put up the Columbia short from 1940- titled The Archives. It is a fascinating look at the Archives building in Washington, D.C., along with scenes of preservationists restoring paper manuscripts, archivists examining a film of President Theodore Roosevelt, and a technician transferring a disc sound recording of President Franklin D. Roosevelt's inauguration. The classic short has been recently mastered in High-Definition (for YouTube exhibition), and it looks great (though some sections of the soundtrack could be repaired). At The Matinee is unsure if any shorts (from the Washington on Parade series) were syndicated in later Columbia (Screen Gems) television packages, though the studio's vintage comedy shorts and serials were common on TV in the late 1950's. Let's hope that Sony will consider issuing a set of these (possibly through their Choice Collection of vintage Columbia titles) sometime in the near future. *The author of this blog went on a tour of the Archives building (during a political group field trip to the District while attending Frederick Community College) in 2008. I am assuming the roadshow version of UA's "Hawaii"(1966) is in the same situation as "The Alamo". I have the restored Laser from 20 years ago. The short version shows up on TCM. I would love to see a blu-ray of this underrated film. Excellent point! It seems that MGM (in its current incarnation) doesn't take their UA "roadshow" holdings too seriously. The best that we classic film enthusiasts can do is to keep on pressuring MGM to restore/preserve the "roadshow" features (via the studio's Facebook & Twitter feeds).